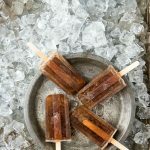 Jack and Coke is a favorite cocktail and now it will be your favorite boozy popsicle too! A few pro tricks make these turn out perfect every time. As much as I love a refreshing, well-flavored cocktail during summer’s dog days, I love it more in frozen form. There is nothing quite like ending a day of outings or driving to and fro by pulling out an icy popsicle of my favorite cocktail. Jack and Coke makes a perfect thirst-quenching boozy popsicle. 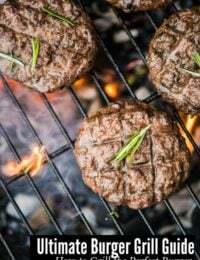 With a few inside tips, you’ll be loving them all summer long! Jack and Coke Popsicles are an easy-peasy popsicle that is a boozy familiar. Just two ingredients and you have your favorite cocktail frozen and waiting. There is something direct and straightforward about Jack and Coke. It’s doesn’t mince words, it just delivers. These popsicles do the same. With one twist; they use Mexican Coke. I’m a personal fan of Mexican Coke due to the natural cane sugar used. When drinks are frozen their flavor isn’t as strong. My finding is Mexican Coke delivers that true, sweet coke flavor making this an irresistible cocktail popsicle. The nostalgia of drinking from the glass bottle also can’t be beat. Mexican Coke has a cult following and has been growing in popularity over the past few years making it more widely available for purchase. Most grocery and chain stores carry it (a friend buys cases at Home Depot of all places) as well as on Amazon.com. 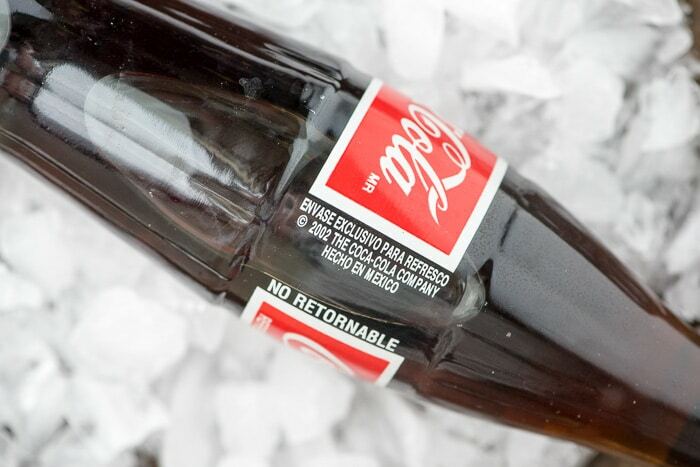 You can identify Mexican Coke by the word ‘Hecho en Mexico’ (translated to ‘made in Mexico’) on the bottle. When making popsicles (boozy or not) with carbonated drinks, let the drink go flat before adding it to the popsicle mixture. 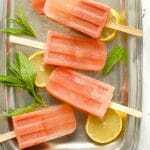 The air in the carbonated drink makes the popsicles less dense so they do not freeze as well. If all the carbonation is released before using, the flavor is the same and the popsicles freeze more compactly. This is especially beneficial when liquor is added since it makes popsicles freeze less firmly (see below). 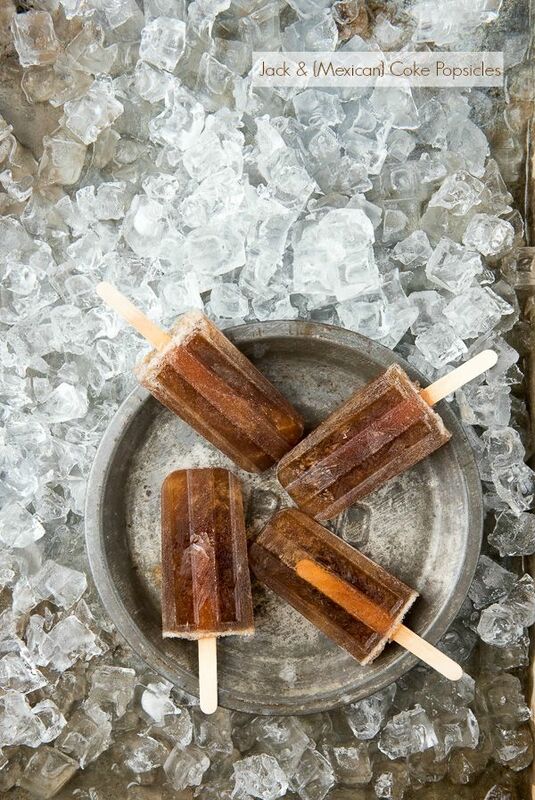 With boozy popsicles, more isn’t better when it comes to the liquor. Alcohol does not freeze in the same way other water-based liquids do! To ensure solid freezing of boozy popsicles, the percentage of liquor is smaller. 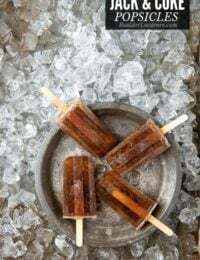 In this Jack and Coke popsicle recipe the correct amount of Jack Daniels liquor is added to each popsicle cavity then the Mexican Coke is added to ensure the correct ratio for optimum freezing. If you decide you want to bump up the percentage of liquor to be higher, you’ll find a slushy result when releasing the popsicles from their mold! Trust me, the popsicles still get the cocktail job done. And if needed, eat two! Using a 2.5 ounce/cavity popsicle mold, pour 1/2 ounce of Jack Daniels into each mold. 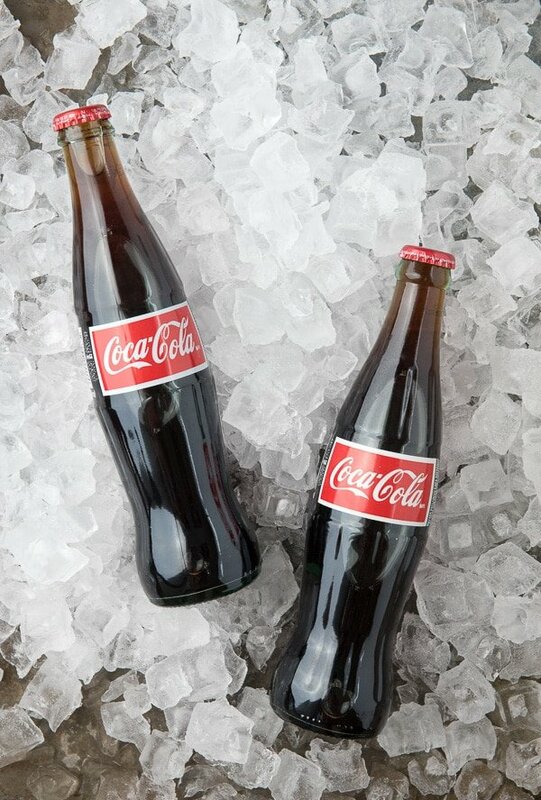 Pour 2 ounces of the flattened Mexican Coke into each mold. Stir to combine. Place the lid on the popsicle mold. Insert the popsicle sticks (see my pro tip below to keep the sticks in place). Freeze for several hours or overnight until firm. Though there are designated slots for the popsicle sticks on a popsicle mold they do not always secure the sticks while freezing. Popsicle sticks can vary slightly in thickness which can cause some to drop into the mold all the way. This simple trick will help keep the sticks upright and in place while freezing. This instructional collage from BLUE LAGOON COCKTAIL POPSICLES. There are no Swedish Fish in Jack and Mexican Coke Popsicles! Fill the popsicle mold and place the mold lid on. Place a sheet of heavy foil over the top of the mold. Run a finger over the area of the mold lid where the popsicle stick slots are to identify their location. 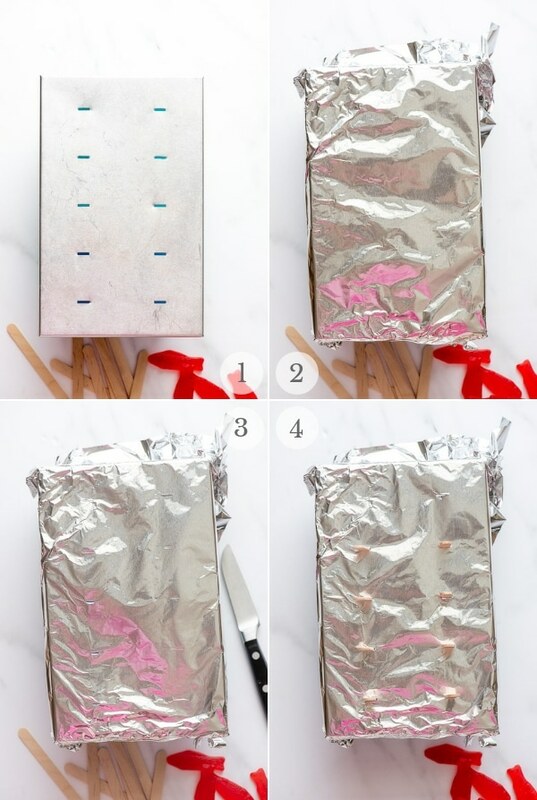 Use a knife to pierce through the foil to the slot. Place in the freezer until solid. Run exterior of the molds (not the top; the plastic cavities) under hot water for a few seconds to release the popsicles. Especially with liquor popsicles, too much hot water and they melt faster. Not enough and they can be hard to pull from the molds. 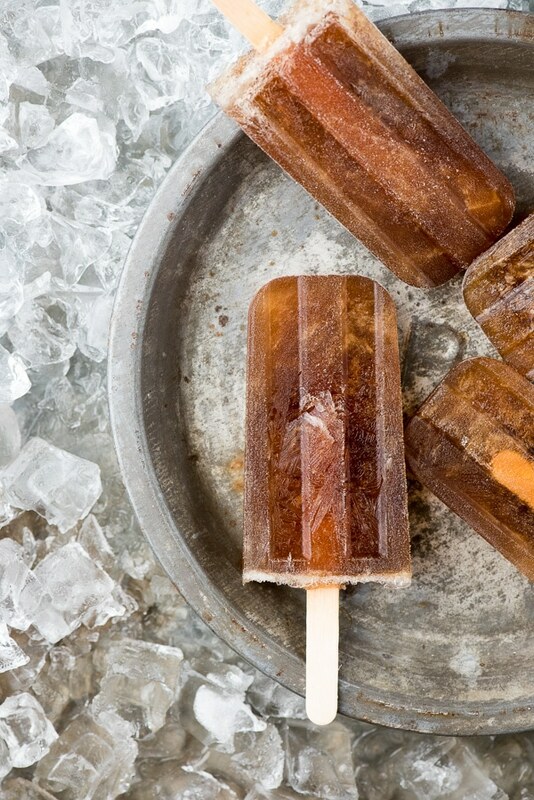 The popsicle mold used for this Jack and Coke Popsicles recipe is probably my favorite. It’s the perfect size and has a great vintage vibe. It’s the perfect size for many popsicle recipes! 10 cavity 2.5 ounce/popsicle Popsicle Mold (this is the one I used here). This one looks interesting too. Your favorite cocktail has been transformed into refreshing popsicle. 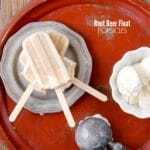 They are very easy to make and take the heat out of the most brutal summer day. Pour 1/2 ounce of Jack Daniels into each popsicle mold. Pour 2 ounces of the flattened Coke into the mold; stir with an extra popsicle stick. Cover and insert wooden sticks. Tip: applying a layer of foil over the top of the mold or lid of the mold allows placement of wooden sticks and they will not float out of the mold. Freeze for several hours or overnight. Run hot water for a few seconds on the outside of the mold to release pops! Ok, now that is a fun summer idea! 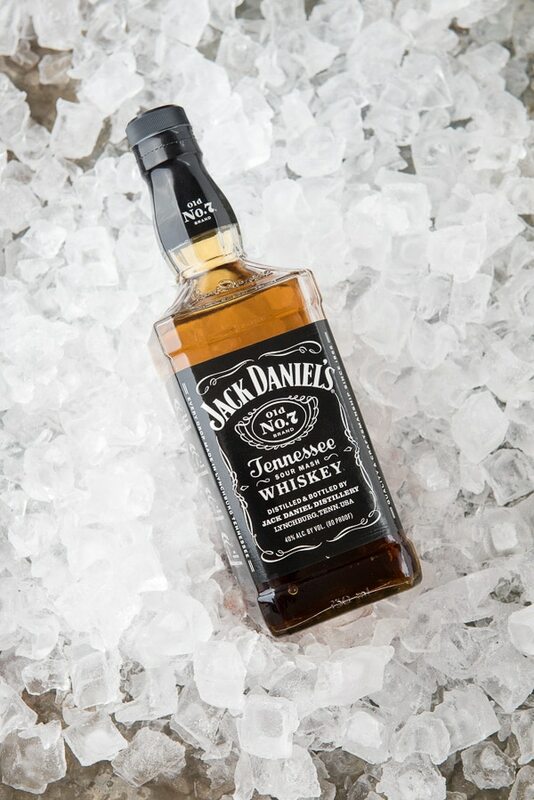 I love Jack and Coke, would never have thought of a frozen treat version! These are a fantastic idea. I am going to make some of these for my pool party this weekend. You have now peaked my interest. 2 of my favorite things in a popsicle, I love it! Jack and (Mexican) Coke with the fizz flattened sounds like a delightful recipe for a grownup frozen treat. How fun to sit in the shade and read a book with a cool popsicle to keep the heat down. I didn’t know it would freeze. I could definitely see those being very popular with adults during a summer BBQ. The amount of alcohol is important for freezing; too much and it won’t fully freeze. One half ounce per ‘poptail’ both allows freezing and is a good ratio with the Mexican Coke for the cocktail flavor and strength! These would be great to enjoy for an adult pool party. My husband is a big Jack fan! 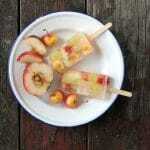 I only know you through your delicious blog and yet you’ve uncovered the way to my heart with these popsicles!! They look DELICIOUS!! I love that you are using Mexican coke!! It totally tastes better in MEX than in the states. 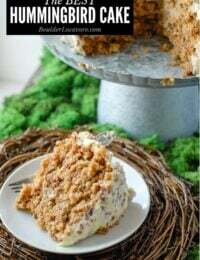 🙂 Great recipe! This would be great to make for my husband and his buds before a guys night. This combo used to be one of my go to drinks back in my heyday. 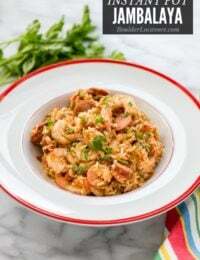 I am a huge fan of both ingredients so these sound amazing. 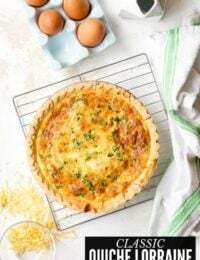 I am going to have to make them soon! That sounds so good. I’ve never thought of making them like that before. What a fun idea for a party. This combo never fails, even when it’s frozen! These sound great. They will be perfect for my next girls day. 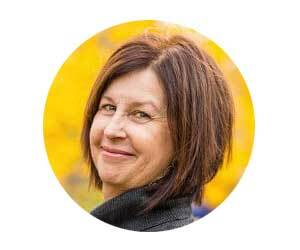 I feel so honored to have spilled the beans on ‘MexiCoke’ for you! We would find it at Mexican restaurants periodically and it was the one soft drink I’d allow my kids as a treat when we were out. Now I’ve heard people buy cases at Home Depot as well as grocery stores. Love the vintage bottles. I usually order a Jack and Coke when I’m out. So this is totally a popsicle I could get in to! Why shouldn’t parents get to have an iced treat for themselves too! Exactly! I will say I love a ‘poptail’ too. It’s a fun, refreshing way to enjoy a cocktail in the summer. How fun! I love the idea of boozy popsicles for adults. I loooove Mexican Coke! I have kicked my daily Coke habit, but I will splurge on one of these every once in a while. 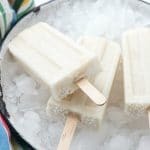 I never thought to make a boozy popsicle though. Brilliant! That sounds absolutely delicious. 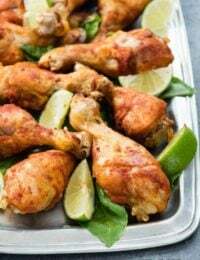 I can’t wait to make these for our next cookout! This is one of the best adult popsicles I’ve seen a while. I can’t wait to try these! These sound delicious! Jack and coke is super popular down here in the south, so I know this will be a hit at our next backyard bash.